Order Before 1pm for Next Day Delivery (Available at Checkout) - Available Tuesday to Friday ONLY. For Saturday Deliveries please select Saturday AM Delivery Method in the Checkout - the calendar date will not guarantee Saturday delivery. 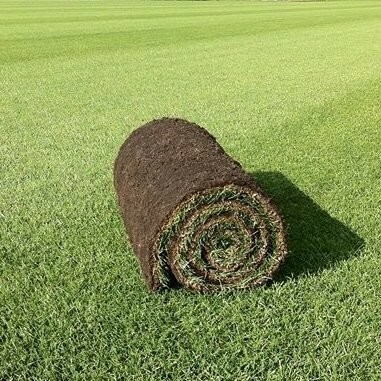 Family Lawn turf is a quality hard wearing, lush green turf suitable for all family gardens (min 10 rolls delivered). This turf will transform any garden and have all your neighbours green with envy and its easy to maintain, durable and ideal for any garden. 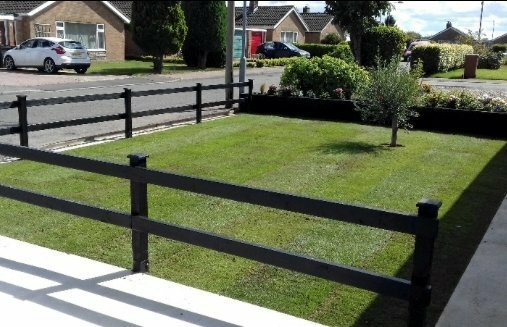 Suited to general garden and landscaping use where a hard wearing and durable turf is required. 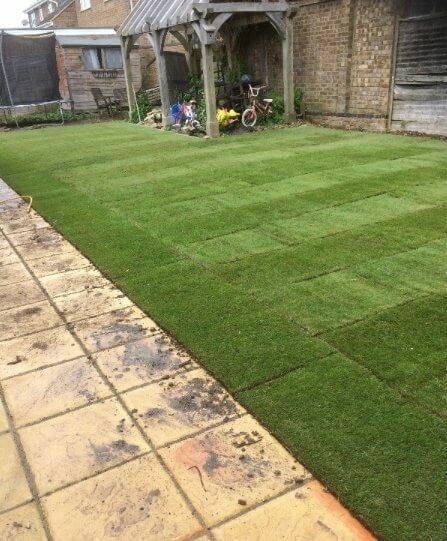 This turf has been developed with four different grass species to produce a low maintenance, hard wearing lawn suitable for use in domestic and commercial installations. Family Lawn Turf offers a durable and fast recovering turf suitable for use where there is heavy footfall, pets or children. Easily laid and quick to gain healthy create a smooth, even surface, our family lawn turf has proven highly popular by those seeking a low maintenance lawn. Perfect for gardens with high foot traffic- whether it’s relaxing on a summer evening, games with the family or excited pets playing: our family turf is a rugged and attractive choice for your lawn: resistant to regular use while always growing thick, luscious and healthy even without extensive care and attention. By shopping with us you can be confident that you’re getting freshly-dug turf delivered straight from our turf farms. This means you can be sure your turf will arrive at your garden while healthy and fresh, ready to be planted out on your lawn and immediate begin laying roots. This means you have the shortest possible time to wait before your new lawn is fully established and ready for mowing. We strongly recommend that turf is laid the day it is delivered. We deliver turf Tuesday to Friday as standard and Saturday (Saturday AM delivery must be selected in the checkout), orders can be delivered next day if placed before 1pm Monday to Friday. Deliveries are made between the hours of 9am - 5:30pm. AM Delivery available, please call for price & availabilty. Turf is delivered on pallets, on curtain sided lorries with a tail lift and pallet trolley. See our delivery details page for more information on our delivery service. Please note items may be delivered in multiple deliveries. 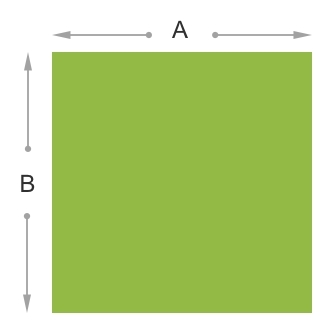 Turf is a perishable product and non refundable (exempt from the sales of goods act and distance selling regulations) so please ensure your delivery access is clear and you have read our delivery information.